Leading institutions around the world are leveraging the power of advanced sequencing technology to solve some of the greatest unanswered questions in medicine. As we learn more about disease biology and uncover new insights thanks to the availability of genomic technologies, we are making meaningful progress in identifying means to address many rare diseases for which there is little medical hope today. With these new genomic tools and insights, a wide range of opportunities has emerged to improve diagnosis and treatment of rare diseases. Over the past few years, DNA sequencing has begun to uncover the causes of rare diseases and, at the heart of each case solved is a patient and a family that has gained new understanding about their condition. With time, these success stories in diagnosis will lead to more successes in treatment. Now more than ever, there is more hope that identifying the key mutations will lead to better understanding of the biology of disease and then to novel therapies. Better and faster technologies are being promoted by leaders in the field of genomics that are enabling much more rapid analysis and interpretation of a patient’s genome to find answers. The critical first step is to obtain sufficient data to analyze, compare it against a robust database of reference data, and gain an accurate understanding of potential mutations associated with these rare conditions. As researchers focus on specific areas, new partnerships are extending access to data and accelerating progress with rare diseases around the world. Recently, genomic analysis collaborations were initiated by ACoRD at University College Dublin to implement NextCODE’s proprietary database and analytical tools to mine whole genome data for variants linked to autism spectrum disorders. [See blog post here]. Another genomic analysis program with ANZAC in Australia applies advanced sequencing analysis technology to better understand X-linked Charcot-Marie-Tooth Syndrome, a rare and progressively debilitating neurodegenerative disorder. [See blog post here] More collaborations are in the works and we’ll be talking about them as soon as we can. We look forward to the results of these and other collaborations as leading institutions around the world make efforts to leverage the power of advanced sequencing technology to solve some of the greatest unanswered questions in medicine. NextCODE Health has quickly gained recognition for its unique capabilities to address unmet needs in the genomics space through a massive genomics database that interprets DNA samples to identify relevant disease markers. The practice and adoption of genomic medicine is accelerating as technologies improve, costs fall and new insights drive better patient care. While many companies are supporting this emerging field, a select few are providing the unique perspectives and capabilities to advance progress even faster. NextCODE Health made headlines less than a year ago with the announcement of its launch and funding by major investors in healthcare and biotechnology. The company quickly gained recognition for its unique capabilities to address unmet needs in the genomics space through a massive genomics database that interprets DNA samples to identify relevant disease markers. (See the features in Xconomy, Bio-IT World and PLOS Blog.) The company was later mentioned in Nature Biotechnology News for its potential contributions to genome studies by leveraging key reference data from deCODE’s Icelandic work in Iceland. 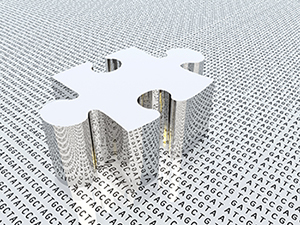 As more organizations employ genomics in major research initiatives, NextCODE’s interpretation technology will be an increasingly important asset in delivering meaningful insights from the wealth of genomic data being produced. Visit NextCode for the latest on how the future of genomics-based medicine continues to evolve. Genome sequencing is a relatively young technology and has been in active use in the research space for just over a decade. Yet already it has found very meaningful applications in clinical care, supporting the world’s leading researchers in discovering answers to some of the most rare and confounding diseases. The interface between the research and clinical realms is seeing some of the most exciting and fruitful applications of the power of sequencing. The ANZAC Research Institute in Sydney, Australia sits right at this nexus and is using the latest DNA sequencing and interpretation technology from NextCODE to mine genomes in search of genetic mutations that are associated with X-linked Charcot-Marie-Tooth syndrome (CMTX). CMTX is a rare, progressively debilitating neurodegenerative disorder that can be caused by mutations in many different places in the genome, including the X chromosome. At present there is no cure or drug treatment available. 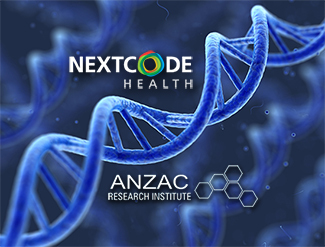 The team at the ANZAC Research Institute, recognized for their expertise in familial genetics, sought out the unique capabilities of the NextCODE analysis platform to investigate spaces outside the normal coding areas of genes. The aim is as pioneering as the technology: to identify not just just single SNPs but also structural variants that conventional approaches have not been able to search for systematically and link to CMTX. With dedicated research minds and the latest technology, the program aims to better understand this disease and potentially find novel targets for the development of therapies. This is one great example of the many opportunities to improve lives that are being generated by insights gained through the rapidly evolving field of genome sequencing.